In a previous SitePoint article, I provided an introduction to the WordPress Categories API thanks to the function wp_list_categories(). As we saw, this function is full of different options, and that’s why it’s a good idea to use it if we want to display a list of our categories. However, it can’t cover all the possible cases, and that’s the reason why we find other functions in the Categories API. These functions allow us to retrieve raw data: in place of a HTML list of our categories, we can retrieve arrays containing these same categories. The consequence is that it’s simpler (and proper!) to display this data in a special way, whatever you can imagine as a DOM tree. We will begin here with functions that return objects containing all data relative to our categories. Then, we’ll be interested in functions that only return specific information. Like links in the Links Manager, we can retrieve our categories as objects that contain all of their properties. We’ll begin by describing these objects thanks to a function which only returns one category. Then, we’ll use our newly acquired knowledge to play with all the categories we want! The first function we’ll cover here is get_category(). Basically, it allows you to get an object representing the category you pass the ID in as a parameter. Then, $cat contains the wanted object. We’ll now describe some of its properties that are of interest to us. First, the ID of the category we wanted. You can find this value in the cat_ID property. Note that this value is not very useful here, as we already knew the ID (we passed it as the parameter of the function!). But we’ll see below that there are other ways to retrieve a category: in that case, knowing how to get the ID in a category object can be useful. If your category is a child of another one, you can also retrieve the ID of its parent thanks to the property category_parent. Note that if your category has no parent, this value is set to 0. When we display information about a category, one essential piece of information is its name. You can retrieve it thanks to the property cat_name. In the same way, you can retrieve the category’s description thanks to category_description. The ID is not the unique identifier of a category: the slug is another one, in the shape of a string (generally the name of the category itself, in lowercase, without spaces or special characters). You can retrieve the slug with the property category_nicename, or slug (both are valid). Finally, you can also see how many posts are contained into this category thanks to the property category_count. Note that this counter doesn’t take into account the number of posts we can found in children categories. The title of this part is a lie. In fact, objects are not the only available representation of our categories. You can also choose to retrieve them in arrays, thanks to a second argument given to get_category(). The keys in the associative array are the properties of the object. However, things are more complicated in the numbered array: the order is the same, but you can’t have clear indexes. As we said above, ID is not the only identifier of a category, and the slug of a category can also be used to retrieve its information. This can be achieved with the function get_category_by_slug(). As you can guess, it accepts the slug as a parameter. We won’t describe the returned object, as it’s the same as we had with get_category(). However, you don’t have a choice here: object is the only available type and you won’t be able to retrieve an array with this function. Finally, note that get_category_by_slug() returns false if there is no category with the indicated slug. We’ll see two functions to get different lists of categories. The first function allows you to retrieve any list of categories, while the second will help you retrieve the categories associated to a given post. If you read the previous part you won’t be disoriented by the returned values of get_categories(), as it returns an array listing all the wanted categories, each represented by an object which is exactly the one we described above. then $cats is an array containing all your categories, in alphabetical order. As an example, if I want to retrieve the name of the second category, all I have to write is $cats->cat_name (see the previous part about the category object for more info). If you did a print_r() on the $cats variable, maybe you noticed something weird: in some cases, this array has some “holes”. For example, we can directly step from index 0 to 4, without seeing 1, 2 and 3. What happened? What is this weird way of counting? Well, in fact, this is not weird: if you effectively noticed this “bug”, maybe you also noticed that the missing categories are exactly the ones which are empty: by default, WordPress hides the empty categories. Hurray, it’s not a bug! We can modify this behavior, along with some other things we can customize thanks to the argument we can send to get_categories(). As usual, this unique argument is an array containing all the options we want. I recommend you to read our previous article about the Categories API, where we described wp_list_categories(). In fact, (almost) all the available options for get_categories() are options we saw for wp_list_categories(), so we won’t describe what they do twice. As for wp_list_categories() you can choose the order you want with orderby and order, limit the number of returned categories with number or again choose to get the empty categories with hide_empty. You also have access to the options include and exclude to get the right categories. Maybe the hierarchical option deserves an explanation: set by default to 1, you can cancel its effects by setting it to 0. Set to 1, this option can return some empty categories, even if hide_empty is set to 1. However, you’ll only see empty categories with children categories which are not empty (that way you can build the entire tree). The pad_counts option is still here, so is the child_of one. But a new option is here: parent which is like child_of, with the difference that parent only returns the direct children of the selected category: if these children themselves have children categories, they won’t be returned. You can associate more than one category to a post. When you use get_the_category(), you can retrieve an array listing of all the categories you set for a given post. By default, this function returns all the categories associated with the current post (you have to be in the loop to enable this behavior). However, you can retrieve the categories associated to any post by passing its ID as a parameter. Sometimes, we just need specific information, like the name of a category, or its ID. In these cases, retrieving an entire object to get only one lot of information is useless. That’s why there are some other functions for these specific needs. It’s always easier to remember the name of a category instead of its ID (which is never the same following the installation). The good news is that you can retrieve the ID of a category if you know its name. To do that we can use the get_cat_ID() function: you pass it the name of a category and it returns its ID. If no category was found, the returned value is 0. If you already have the ID of a category but don’t know the IDs of its parents you can also use get_ancestors(). It returns an array containing all the ancestors’ IDs, from the nearest to the farthest. Note that we have to indicate to get_ancestors() that we’re talking about categories. In fact, this function is more general and can include more fields than categories (but it’s not what we’re interested in here). We can retrieve the ID of a category from its name, but we can also do the opposite: that’s what get_cat_name() does. The same thing can be done with the description of a category, thanks to category_description(). Did you notice that, since the beginning of this article, we haven’t talked about the URL of a category? It’s an interesting topic, as its shape can change following the installation (URL Rewriting? No URL Rewriting?). To be honest, I don’t understand why this information is not contained into the object we described above. However, we can retrieve the URL of a category thanks to get_category_link(). Then all I have to do is using $cat_link which contains the right URL. 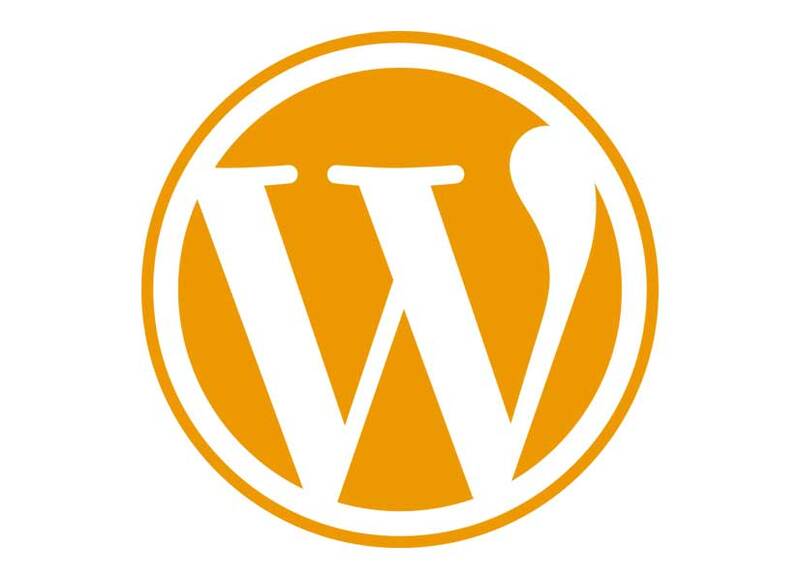 If you’ve been developing WordPress themes, chances are that you already know the_category(). This function allows you to echo a list of the categories used by the current post (or any other). This list is a string, with all the links one after the other, separated by the string you want (indicated in the first parameter). The third parameter of this function is the post ID we want: if you’re not in the loop, you must use this parameter. The second parameter is quite particular. It allows you to control the way relationships between parents and children are displayed and is useful only in the case where the concerned post is in a category that has a parent category. By default this parameter is set to an empty string and only the child category is shown. If you change this to single, then the name of the parent category will also be displayed, in the same link of its child. Finally, you can also choose multiple: with this value, the parent and the child category are shown, in two separate links. If you prefer storing the result into a variable before echoing it, then you can use get_the_category_list() instead (it can be used in the same way than the_category()). The Categories API is a very comprehensive, it contains many very useful functions. Whatever you need when you want to play with categories, chances are great that a function already exists. In fact, I chose to describe some of the most commonly used functions, but this API contains a large number of others. For example, there’s a function to check if a post is in a category. There’s also a function that displays a list composed by checkboxes for every category (useful for administration panels). Describing all of them will be more indigestible than anything else. That’s why, if you can’t find the function in this article, don’t hesitate to ask for help below.